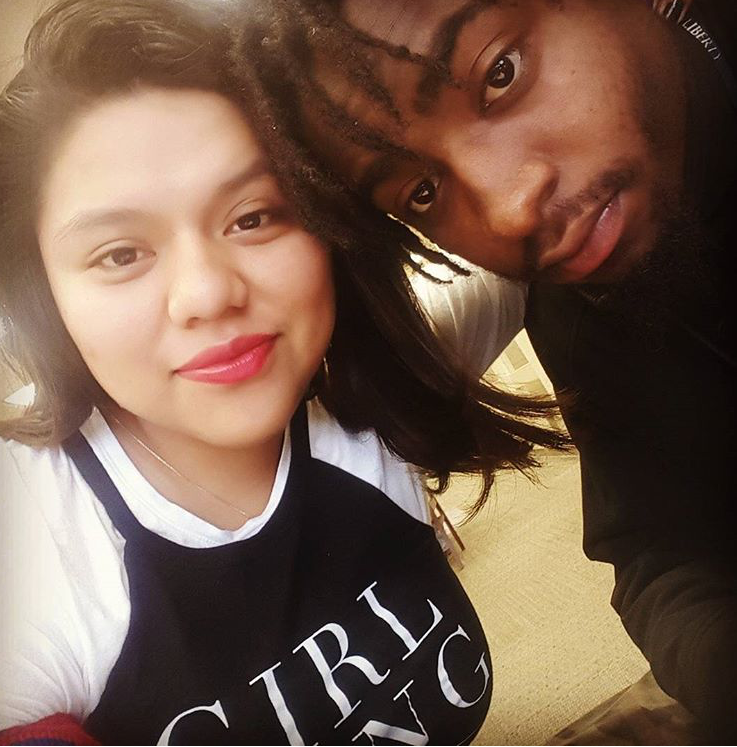 This is my story of Black and Brown love. I met my husband at the airport about 3 years ago. The first time I saw him, I noticed his afro. And I fell in love. He walked with such confidence and conviction. I could tell he was going far in life. He was focused. His smile was enough to convince me he was meant for me. And I knew right then and there that I was going to do anything and everything to make him mine. It took a while. But after many jokes and a lot of food sharing ( I don’t share my food so I knew It was real lol) we started dating. We got married in October of 2017 and that was the best decision I’ve ever made in life. When I started school everyone shunned me – including my Mexican peers – because they knew English and I didn’t. My first friend was a beautiful dark-skinned girl who spoke to me even tho we didn’t understand each other. I came to the [United] States when I was 7- back in ’98- and I had never seen a Black person before. When I started school everyone shunned me – including my Mexican peers – because they knew English and I didn’t. My first friend was a beautiful dark-skinned girl who spoke to me even tho we didn’t understand each other. My parents never spoke [poorly] about Black people. But my aunt’s and uncles always had something negative to say. As I got older, I always felt like I HAD a duty to defend my brothers and sisters against family and friends who would always say things like, “Your parents let you hang with them?” I’ve always found it offensive. Now that I am married to my wonderful husband it’s been worse. I get so angry sometimes because I know it’s not true. But I always smile and let them know how wrong they are. How hardworking my brothers and sisters are. How no matter what’s going on they always smile and they’re always willing to help. I don’t know about you but Black women always stand up and speak for others when they are being mistreated. I love that about them. I love that even tho everything is always stacked against them, they still come on top. They ALWAYS find a way where there is no way. And being that, yes I am illegal and so is my family, I’ve had close people to me being deported and that really is stressful and hurtful and frightening. We still have our life. But they are literally killing our Black babies, mothers, and fathers. In order to move forward, we HAVE to join them in this fight. And until we unite and help liberate them, we will NEVER be free ourselves.